The NDAA (National Defense Authorization Act) was passed by Congress late Thursday night (84-15-1). It received $609 billion dollars in funding. Carl Levin, D-Mich. stated, “the bill before us is not a Democratic bill and it is not a Republican bill. It is a bipartisan, bicameral defense bill.” Those who didn’t vote for it were the outliers with very strong and differing positions from the likes of Senator Bernie Sanders, a socialist, to Senator Ted Cruz, representing the far-right-wing of the Republican party. “Today I voted against the National Defense Authorization Act. I am deeply concerned that Congress still has not prohibited President Obama’s ability to indefinitely detain U.S. citizens arrested on American soil without trial or due process. The NDAA legislation is a mixed bag for Senator Cruz. He wants to make sure that American citizens cannot be indefinitely detained without a trail, which the bill as it stands now allows. It frightens me that this bill was passed bipartisan, not that I have much hope for Democrats, but that who wants US citizens to be detained? Are they working for us or for defense contractors? Because this is the first time a bill has passed that allows defense contractors multi-year agreements rather than their normal yearly agreement. Does this mean that we are going to more wars in the future? Is this Congress’ way of flipping off the American people and letting us know that we are never going to not be in a war? Historically, this is the 51st year that the NDAA has passed. It has just been recently that the NDAA has been challenged. Most notably, this year’s Hedges vs. Obama, which sadly was rejected. 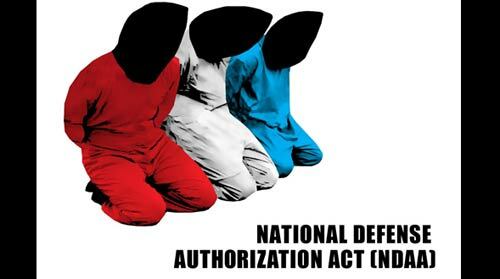 Yet, why does the NDAA matter so much? Why did I wake up this morning angry when I saw on the Facebook newsfeed that this legislation was passed? We would rather budget $609 billion dollars for the military than to help poor people in the US! We would rather encourage multi-year military contracts than aid in US economic recovery! We would rather privatize the military and prisons than to setup better public programs and safety nets that actually work!! God, forgive us for we have no idea what we are doing. *If you haven’t checked out the Daily Show’s interview with Forbes Columnist John Tamny, you must!